As much as it pained me to remove Awakening - I'm delighted to replace it with Enigmatic. Enigmatic was somewhat of a surprise. It's gorgeous in the bottle but the first coat is very sheer and brownish. It isn't until the second coat that the purple gorgeousness (is that a word?) pops out. Enigmatic is a deep shimmery brown based purple with a lovely silver micro glitter that looks amazing in the sun. OMG! I must try this color! 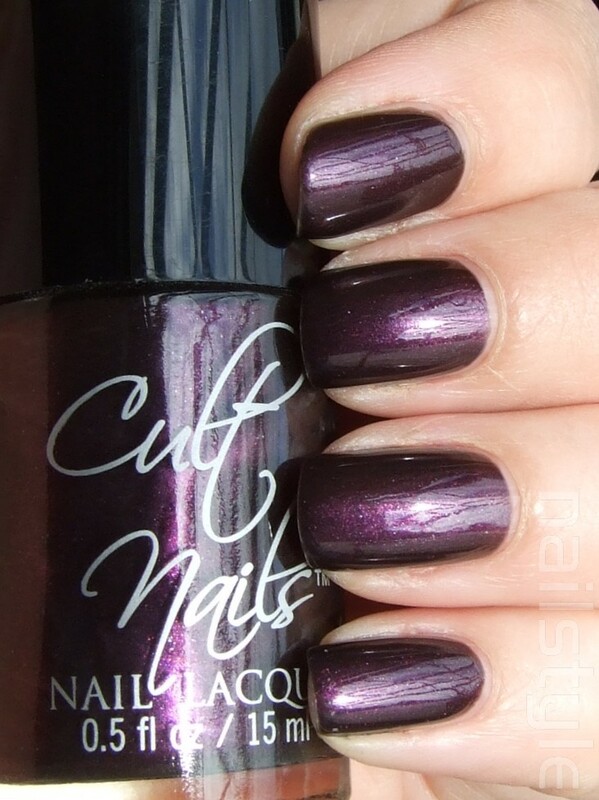 I need to break my no buy and order me up some Cult Nails! This color is SO me!